In India, mergers and demergers used to be court-driven processes, but upon the constitution and notification (in December 2016) of the National Company Law Tribunal (NCLT), they are now NCLT-driven processes. Both acquisitions of certain key assets of a business undertaking (ie, asset transfers) and entire business undertakings as a going concern (ie, business transfers) are common in India. Business transfers are referred to as a ‘slump sale’ under the Income Tax Act, 1961 (ITA), and involve the transfer of all assets and liabilities of a business undertaking on a going concern basis. Further, business transfers also benefit from a favourable tax treatment in comparison to asset transfers: in a business transfer, a lump sum value is assigned to the entire undertaking as a whole instead of values being assigned to individual assets and liabilities, as is the case with an asset transfer. In India, share acquisitions still remain the most preferred and usual mode of acquisition, because they are a much simpler and faster mode of acquisition in comparison to the other three modes discussed in this chapter. Further, a share acquisition can be in the form of a purchase of securities from existing shareholders or an issuance of new securities by a company. The purchase or issuance of securities are both relatively straightforward where, subject to the structure of the transaction, the nature of securities (whether equity shares or equity-linked or convertible instruments) can be decided. It must be noted that foreign direct investment (FDI) is permitted in equity and equity-linked instruments only (compulsorily convertible to equity). A joint venture is another popular structure where two parties (especially where one party is a non-resident or foreign party) can come together to benefit from each other’s synergies and expertise. For example, the resident or domestic party can contribute its distribution network to the joint venture entity, and the non-resident or foreign party can licence its intellectual property (IP) to the joint venture entity, such that both joint venture parties can benefit from the exploitation of such IP in India. Following the finalisation of discussions between parties an acquirer is selected, either by way of an auction or bid process or through bilateral negotiations. A typical transaction process will begin with the execution of a term sheet outlining the intention of the parties and the broad contours of the transaction. This is usually followed by the acquirer conducting the necessary legal, financial and tax due diligence regarding the company and, if the acquirer is a foreign entity, anti-corruption and money laundering due diligence about the company. Following the due diligence, the transaction documents are drafted. Based on the outcome of the due diligence and the structure of the transaction, these would typically include an asset or business transfer agreement for asset or business transfers, a share purchase or subscription agreement for share acquisitions, a joint venture agreement for joint ventures, a shareholders’ agreement and any other agreement that the parties may agree to. Depending on the understanding between the parties and the regulatory and consent requirements, the transaction can either be structured as a simultaneous sign and close transaction, or a two-tiered transaction where the agreements are executed on a certain date and the transaction is consummated on a later date after fulfilment or waiver of all the conditions precedent. The timeline for the process would depend on the time taken for due diligence, the duration of negotiations and the time taken to fulfil any conditions precedent, including the receipt of all applicable statutory approvals. Share acquisitions are generally faster, followed by asset and business transfers and, finally, mergers and demergers, in which the timeline for the process could range from about six months to two years. The Companies Act, 2013 (Companies Act), the Indian Contract Act, 1872 (Contract Act) and the Specific Relief Act, 1963 (Specific Relief Act) form the principal legislation governing private acquisitions and disposals in India. While the Companies Act provides for the manner in which securities of companies can be issued and transferred, and mergers and demergers can be consummated, and the restrictions thereon, the Contract Act and the Specific Relief Act primarily provide guidance on the nature of rights that the parties can agree to contractually, and the remedies that can be availed by the parties for a breach of the contract. Matters of taxation in connection with acquisitions and disposals are governed by the provisions of the ITA, and the Competition Act, 2002 (Competition Act) regulates transactions against being an anticompetitive arrangement or adversely affecting competition in any manner. Further, in connection with private acquisitions and disposals involving a non-resident entity, the relevant foreign exchange laws (including the Foreign Exchange Management Act, 1999 and the rules and regulations framed under it) will apply. Inter alia, these laws provide for the pricing and disclosure requirements. For example, in the case of an acquisition by a non-resident investor of equity shares of an Indian private company from an Indian resident, the price of such equity shares cannot be lower than the price determined in accordance with any internationally accepted pricing methodology for valuation of such equity shares, as duly certified by a chartered accountant. Furthermore, there are several pieces of sector-specific federal-level legislation, including the Indian Telegraph Act, the Drugs and Cosmetics Act, the Insurance Act, the Air and Water Act and the Environment (Protection) Act, plus various pieces of employment and labour legislation, including over 100 laws governing matters such as employment, sexual harassment, maternity leave, trade unions and labour disputes. In addition to the Patents Act, 1970, Copyright Act, 1957 and Trade Marks Act, 1999, India has well-established laws and regulations safeguarding IP rights in India, and is also a signatory to major international conventions and treaties like the Paris Convention for the Protection of Industrial Property, Patent Cooperation Treaty, Madrid Protocol, etc, which govern IP rights. Furthermore, specific regulators (eg, the Securities and Exchange Board of India (SEBI) and the central bank (the Reserve Bank of India (RBI)) for banks and financial institutions, and the Insurance Regulatory and Development Authority of India for insurance companies and intermediaries) also set out the regulatory framework for acquisitions and disposals involving the relevant companies. In some cases, an approval from the relevant regulator may be required for the consummation of the acquisition of shares, business or assets: for example, mergers between bank companies are governed completely by the Banking Regulation Act, which is a specific regulation governing the functioning of banks in India. Finally, for certain acquisitions, compliance with certain state and local laws is also required. For example, when real property is involved, permission under the relevant state laws is required for an acquisition or transfer of immovable property. Similarly, different states have very detailed labour regulations; therefore, any transfer of employees or their retrenchment is governed specifically by local state laws. Shares can be held by a buyer either in physical form (in which case the title to such shares is evidenced by a share certificate issued by the company for the relevant shares and the register of members) or in dematerialised form (in which case the record of the depository with whom the shares are held is the prima facie evidence of the interest of the beneficial owner of such shares). In the case of physical shares, the transfer of legal title is complete when the share certificates held by the existing shareholder are endorsed in the name of the buyer (in the case of a transfer of existing shares) along with execution of a duly filed share transfer deed, or new share certificates are issued to the buyer by the company (in the case of subscription to new shares). Post such endorsement or issuance, the register of members maintained by the company is also required to be updated to reflect the name of the buyer as a member of the company. In the case of dematerialised shares, the legal title to the shares is transferred upon the change being recorded in the records of the depository. Under Indian law, beneficial title in shares is termed as ‘beneficial interest’ and denotes the right of every person whose name is not entered in the register of members of the company as the holder of shares but who is the beneficiary of the such shareholding in the company. In cases where the legal title and beneficial interest in shares are held by different persons, the person who holds the beneficial interest, as well as the person who holds the legal title and whose name is recorded in the company’s register of members, is required to make a disclosure (as per the formats prescribed under the Companies Act), in this regard specifying the nature of the beneficial interest held and the particulars of the person in whose name the shares stand registered in the books of the company. In terms of share acquisitions, title-related extensive representations and warranties, backed by indemnity, are common practice. Similarly, for asset acquisitions, the title in assets passes as follows: in the case of movable assets, title passes upon delivery of such assets; in the case of immovable property, title passes upon execution and registration of a conveyance deed; and in the case of certain movable assets such as receivable and payables, title passes upon execution of a deed by the seller in favour of the buyer. Finally, upon approval of an amalgamation scheme (ie, approval of a merger or a demerger scheme) by the NCLT in terms of a final order, title in the shares or the assets, or both (as the case may be), passes to the buyer automatically. Shares under Indian laws are considered movable property, and other than the Companies Act, their merchantability is governed by the (Indian) Sale of Goods Act, 1930. Under such Act, certain warranties are implied to be applicable to a transfer of movable property unless anything contrary is provided for in the agreement. For instance, unless it is expressly provided in the agreement, a transfer of shares is implied to be free from encumbrances under applicable Indian laws. No, there is no compulsory requirement for all shareholders to sell their shares to the buyer. In India, the minority can be squeezed out in accordance with certain processes available under applicable law or dragged along by the majority seller if they have contractually so agreed. Drag-alongs are fairly straightforward, and are contractually agreed between shareholders at the time of execution of the definitive agreements. Minority squeeze outs are more complicated, with a selective capital reduction being the most common method of minority squeeze out. The minority shareholders, however, can block such squeeze out as a capital reduction is required to be approved by a super majority (75 per cent of shareholders) and the NCLT. In addition to a capital reduction, section 236 of the Companies Act provides that the majority shareholders who are the owners of 90 per cent or more of the equity shares of a company shall, subject to certain conditions, have the right to offer by notice to the remaining shareholders of the company to compulsorily acquire their shares. A similar right is also granted to the minority shareholders, for example, to require the majority shareholders to acquire all their shares on the terms of the offer. There are no specific assets or liabilities that are not allowed to be excluded from an acquisition or disposal of business by agreement, and generally, in addition to extensive representations and warranties, the buyer also negotiates specific indemnities for certain known liabilities in the definitive documents. In a business transfer, ‘cherry-picking’ of assets may disqualify a transaction from being a genuine ‘slump sale’ under the terms of the ITA, as the tax authorities can conclude that the ‘undertaking’ was not transferred as a whole. However, exclusion of any asset or liability forming part of an undertaking does not automatically disqualify such business transfer from qualifying as a ‘slump sale’ under applicable Indian law if such exclusion does not affect the ability of such undertaking to carry on as a ‘going concern’. The Indian courts have answered the question regarding the exclusion of what kind of assets may disqualify a transaction as a ‘slump sale’ on the facts of each case. Share acquisitions require a resolution of the board of directors of the company. In some instances, share acquisitions also require the consent of the shareholder of the company; for example, any issuance of new shares by the company pursuant to a preferential allotment requires shareholder approval by way of a super majority. Further, most financing documents in India require borrowing companies to obtain the prior consent of the lending bank or financial institution for a transfer of shares of the borrowing company or to effect any change in the capital structure or change in the ownership of the borrowing company. Furthermore, in some cases, regulatory approvals are also required for transfers of assets or liabilities. For instance, a non-resident buyer is required to obtain an approval from the RBI in certain cases, including where the investment by the buyer is in sectors under an approval route (ie, specified sectors in which foreign investment can be made only pursuant to approval from the government) or exceeds permitted thresholds for FDI (ie, thresholds beyond which an investment can be made only pursuant to approval from the government). To give effect to any transfer of assets or liabilities in a business transfer, a company must obtain any necessary approvals, including corporate approvals, regulatory approvals, consents of lenders and other third parties: for example, if a company is selling its material assets (ie, any undertaking that generates 20 per cent of the total income of the company during the previous financial year) the shareholders of the company have to approve such sale by way of a three-quarters majority. The kind of corporate approvals required will depend on the nature and value of the transaction. A scheme of arrangement (involving a merger, demerger or amalgamation) requires the approval of a majority comprising three fourths in value of the shareholders of a company that are present and voting. A company with creditors also requires the approval of such creditors. As stated earlier, once the relevant company has obtained the requisite approval of the shareholders, the scheme of arrangement needs to be approved by the NCLT. Before approving such a scheme, the NCLT will invite objections from various government departments, such as the registrar of companies, and from the public at large. Once all objections have been satisfactorily resolved and the NCLT is convinced that the merger or demerger is in the best interest of the shareholders, it will pass a final order approving the scheme of arrangement. Mergers involving public listed companies in India require, inter alia, the in-principle approval of the SEBI. Further, if a public listed company is to be merged with a private company, the SEBI requires that the shares of the private company be compulsorily listed post-consummation of the merger. Yes, there are certain legal, regulatory or governmental restrictions (including restrictions on foreign ownership) on the transfer of shares in a company, a business or assets in India. For instance, foreign investment in India, both direct and indirect, is regulated by the government and the RBI. Such investments can be divided into two categories - those under the automatic route (such as investments in the services sector or manufacturing of consumer goods) and those under the approval route (such as the establishment and operation of satellites). There are also certain sectors, such as the lottery, where foreign investment is not permitted. Investments under the automatic route, as long as such investments are within the prescribed sectoral caps set out in the prevailing FDI policy and the relevant RBI regulations, do not require prior approval from the government. On the other hand, foreign investment in certain other sectors requires prior government approval. While not common, there may be situations when transactions are subject to public or national interest considerations, such as transactions in the defence sector, or applications involving investments from ‘countries of concern’, which require security clearance and are processed by the Ministry of Home Affairs. Until June 2017, certain FDI in India under the approval route required the approval of the Foreign Investment Promotion Board (FIPB). However, to facilitate single window clearance, the government abolished the FIPB and replaced it with the Foreign Investment Facilitation Portal (FIFP). The FIFP is being administered by the Department of Industrial Policy and Promotion, Ministry of Commerce and Industry, and government approval for foreign investments are granted by the concerned administrative ministries and departments (eg, all applicable mining investments requiring approval shall be handled by the Ministry of Mines, and will be facilitated through the FIFP) other than in cases of certain high-value foreign investments that are considered for approval by the cabinet committee on economic affairs. The FIFP is a single point interface facilitating the clearance of applications filed for foreign direct investment in sectors falling under the approval route. Upon receipt of the application, it is forwarded to the concerned ministry or authority, which reviews and processes such application. Yes, third-party consents, in the form of consents from, inter alia, lenders counterparties to contracts (large customers, suppliers, etc), local governmental authorities and tax authorities are typically required for transactions involving a change in control or management of a company. Sometimes, such consents may also be required for minor changes in shareholding, depending upon the terms of agreements executed by the company with its lenders, customers, suppliers, etc, or the terms of the licences and approvals granted to the company to conduct its business. While the consent of other shareholders is not required for a transfer of shares by a shareholder (unless such other shareholder has been granted certain contractual rights, such as a right of first offer or refusal), such shareholder consent is required in the case of a transfer of a business undertaking by a company. Yes, there are certain required regulatory filings that need to be made if specific conditions are met. For example, the Competition Act requires mandatory pre-notification of all acquisitions (of shares, voting rights, assets or control) and mergers and amalgamations that cross specified jurisdictional asset or turnover thresholds (collectively, a combination) to the Competition Commission of India (CCI) for approval prior to consummation, unless specific exemptions apply. Generally, this is the responsibility of the buyer or acquirer, but in cases involving mergers, it is a joint responsibility of all the concerned parties. The merger control regime in India is suspensory in nature, and therefore a combination subject to notification requirement cannot be consummated until merger clearance has been obtained, or a review period of 210 calendar days from the date on which the application for CCI clearance is made, whichever is earlier. Further, there are certain regulatory filings that are required to be made with the registrar of companies under the Companies Act in the case of an issuance of new shares by a company. All transfers of shares in physical form require a stamp duty of 0.25 per cent to be paid on the value of shares being transferred, and the transaction documents also need to be stamped with an amount determined in terms of the state in which the transaction is executed and relates to (see question 12). Separately, it should be noted that transfers of a business undertaking or assets entail additional costs. For example, transfers of immovable property pursuant to a slump sale require the execution of a conveyance deed that needs to be stamped and registered in terms of the duty payable in the relevant state: this quantum of duty could range anywhere between 3 and 12 per cent (depending on the state where the conveyance is being executed and relates to) of the value of the immovable property being sold. In the case of a business transfer, stamp duty needs to be paid on the business transfer agreement: this could range from a nominal amount to up to 1 per cent of the value of the consideration being paid for the acquisition of the business undertaking. Under the foreign exchange laws, there are certain reporting requirements in the case of an acquisition (either by subscription or purchase) by a non-resident buyer in prescribed forms. The RBI has, with an intention to simplify reporting under foreign exchange laws, recently introduced the ‘single master form’, which is a consolidated form to be used by Indian entities for reporting foreign investment. Finally, certain regulatory filings may be required to be made in connection with the acquisition of shares, a business or assets if the terms of the licences and approvals granted to the company so require. In addition to lawyers, different sets of advisers are engaged for different transactions. However, certain advisers are engaged for almost all types of transactions, such as financial and tax due diligence advisers, which are generally the Big Four firms. Further, certain transactions require technical and environmental due diligence, for which investors engage a special set of advisers with specific expertise. Furthermore, many investors now, on a regular basis, engage advisers to conduct anti-money laundering, bribery and corrupt practices-related due diligence even before they decide to initiate full-scale legal and financial due diligence. The terms of appointment of each adviser would usually set out their fees for the transaction (depending on the scope of work), the limitations on their liability (generally capped at the fees received or a multiple thereof, with certain carve-outs) and the qualifications on their scope of work. However, such terms are transaction-specific and would vary with each transaction. Indian law does not specifically provide for a duty to ‘negotiate in good faith’ in any statute, rules, regulations or otherwise. Directors of Indian companies are subject to certain duties under the Companies Act, including the underlying fiduciary duty to act in the interest of the company at all times. The terms of acquisitions or subscriptions of shares are usually documented in a share purchase or share subscription agreement, as the case may be. In addition, the shareholders of companies enter into a shareholders’ agreement for governing their rights inter se and obligations. Sometimes parties may mutually combine the agreements into a single ‘share subscription and share purchase agreement’ or a ‘share subscription and shareholders’ agreement’. On the other hand, an acquisition of business is usually documented in a ‘business transfer agreement’, where the undertaking or the business to be transferred is set out along with all the assets and liabilities comprising such undertaking. Similarly, an acquisition of identified assets is effected through an asset-purchase agreement. Finally, in addition to the final order of the NCLT, mergers are generally documented in a scheme of amalgamation and an implementation agreement. The execution of documents in India is subject to the following. Under Indian law, applicable stamp duty is required to be paid on a document for it to be admissible as evidence in court. It should be noted that the amount of stamp duty payable on it depends on the subject matter of the document and the place of execution. The applicable stamp duty in India varies for every state. Further, documents that relate to immovable property, are also required to be registered in accordance with applicable law to be enforceable. The Companies Act sets out the requirements necessary for the authorisation for each kind of transaction undertaken by companies. Further, the Act requires that contracts made by or on behalf of a company be signed by a member of the key managerial personnel or a person authorised by the board of directors of the company in this regard. The parties to a transaction should affix their signatures on the documentation. Both signatures in writing and digital signatures are permitted under Indian law. Further, certain documents (such as a power of attorney) may also require attesting witnesses. Digital signatures are enforceable under Indian law. The Information Technology Act, 2000 recognises the authentication of electronic records by electronic signatures or electronic authentication techniques, which are considered reliable as per prescribed specifications, and which are affixed in the prescribed manner. The Indian Evidence Act, 1872 also affirms the admissibility of electronic signatures as evidence in a court of law. ancillary documents, including those pertaining to information technology, and insurance policies obtained in connection with the business, etc. However, the scope of due diligence depends on the sector in which the company operates. For instance, if a company is engaged in the manufacturing sector, the licences and approvals obtained by the company, along with their operational and environmental (if applicable) compliances, are key to the due diligence. On the other hand, if the company is engaged in the services sector, the material agreements entered into by it, would be important. Further, many investors also engage advisers to conduct anti-money laundering, bribery and corrupt practices-related due diligence. Sellers do not usually provide due diligence reports to prospective buyers. However, in the case of an acquisition through an auction or bid process that involves multiple bidders, the seller may provide a vendor due diligence report to the bidders. Even in such cases, reliance by the bidders on the due diligence report provided by the seller is highly negotiated. However, with respect to key issues identified in the report, areas in which the information is inadequate or areas that are important to the bidder, the bidder may conduct a confirmatory due diligence exercise of its own, or may request further information from the seller. In addition, to obtain significant advantage in a competitive bid scenario, many buyers are now evaluating the benefits of relying upon representations and warranties insurance on a regular basis. However, it should be noted that such insurance products are fairly expensive and do not provide blanket protection. As part of the agreements executed by the parties, sellers typically provide representations and warranties with respect to the company as on the date of the transaction and for the conduct of business by the company before such date. Such representations and warranties are typically backed by an indemnity from the sellers. Thus, for a breach of such pre-contractual statements, or to the extent that such statements are misleading, a seller may be liable for an indemnity claim by the buyer. Separately, such seller may also be liable for damages in a court of law for a breach of a representation or warranty. It is not uncommon for parties to exclude or limit the liability of the seller (both in terms of time and amount) for such pre-contractual or misleading statements. However, such limitation is the subject of extensive negotiations between the parties. litigation (ongoing as well as concluded) pertaining to the company. Typically, a buyer carries out searches relating to corporate compliance of the company, its indebtedness, financial position, litigation to which it is a party, its business organisation and corporate structure, or other particular areas material to the buyer. Claims against sellers under Indian contract law can be under two categories as set out below. The concept of damages under Indian contract law is based on the principle of foreseeability, ie, only such loss is recoverable as was at the time of the contract reasonably foreseeable as liable to result from the breach. Accordingly, what was at that time reasonably foreseeable depends upon the knowledge then possessed by the parties. It is well established that damages recoverable for a breach of contract are those that flow naturally in most cases from the breach, whether under ordinary circumstances or from special circumstances, due to the knowledge either in the possession of, or communicated to, the parties. Therefore, knowledge of circumstances that could be the subject matter of a damages claim against a seller is at times helpful in the Indian context. At the same time, Indian courts would be wary of awarding damages with respect to a claim made by a buyer who despite having knowledge of such irregularity based on its due diligence process chose to enter into such transaction. In relation to the provisions governing indemnity under the transaction documents, the definition of knowledge, the independent investigation clause and the sandbagging or anti-sandbagging provisions are extensively negotiated between the parties. The buyer generally tries to ensure that his or her knowledge (whether actual or constructive) does not preclude him or her from bringing an indemnity claim under the transaction documents. The seller, however, will typically argue that all knowledge (actual or constructive) acquired by the buyer (and its representatives) based on the disclosure letter and all the other documents disclosed or provided by the seller should restrict the buyer from bringing any indemnity claims against the seller or its affiliates after the consummation of the transaction. Indian foreign exchange laws regulate pricing of shares when either the buyer or the seller is a non-resident. The RBI has prescribed pricing guidelines in the case of a transfer or issuance of shares to and from a non-resident for shares both of listed and of unlisted Indian companies. As per the RBI pricing guidelines read with the Companies Act, no issuance of shares of an unlisted Indian company to a non-resident, or transfer of shares of an unlisted Indian company from a resident to a non-resident, shall be lower than the price determined in accordance with any internationally accepted pricing methodology for valuation on an arm’s-length basis and duly certified by a Category I merchant banker registered with the SEBI, a chartered accountant, or a practicing cost accountant registered as a ‘registered valuer’ as per applicable law. In the case of convertible capital instruments, the price and conversion formula of the instrument should be determined upfront at the time of issue of the instrument. The price at the time of conversion should not in any case be lower than the fair value worked out at the time of issuance of such instruments in accordance with the extant foreign exchange control regulations. 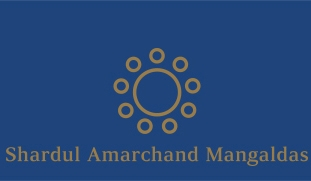 Further, the price of shares of an unlisted Indian company transferred by a non-resident to a resident shall not exceed the valuation of such shares done as per any internationally accepted pricing methodology for valuation on an arm’s-length basis and duly certified by a practicing cost accountant, a chartered accountant or a SEBI-registered merchant banker. The basic premise of these guidelines is that a non-resident must not be guaranteed an assured return at the time of entering into an agreement or making an investment in an Indian company. The RBI pricing guidelines do not apply for a transaction between non-resident parties. Further, for transfers of assets or business undertakings, there are no express price stipulations as the pricing is based on a valuation of the assets being transferred. However, transfer pricing norms under the ITA need to be adhered to in such cases to ensure that such transfer is made on an arm’s-length basis. As compared to a locked-box structure, two-step closing accounts and post-completion price adjustments are more commonly used for price adjustments in private transactions in India. Such adjustments are generally working capital adjustments or adjustments based on earnings before interest, taxes, depreciation and amortisation or profit after tax. Earn-out based structures are also gaining popularity (see question 19). Consideration is normally in the form of cash and or shares. As long as the minimum price of subscription or acquisition, as the case may be, is compliant with the pricing guidelines, the parties are free to negotiate the amount of consideration to their respective advantage. There is no overriding obligation to pay the same consideration to multiple sellers in a private transaction. However, if the consideration is not in cash, the income tax authorities have the authority to determine the fair value of all such non-cash consideration, which may be deemed to be higher than the agreed-upon consideration, thereby resulting in a higher tax liability for the seller (see question 31). In India, general permission has recently been granted by the RBI for deferment of consideration in a transaction between a resident and a non-resident subject to certain conditions. In the case of a transfer of shares between a resident buyer and a non-resident seller, or vice versa, up to 25 per cent of the total consideration can be paid by the buyer on a deferred basis within a maximum period of 18 months from the date of the agreement. The provision further stipulates that if the parties intend to provide for deferment of a part of the total consideration, they may create an escrow arrangement for up to 25 per cent of the total consideration. Further, if the total consideration is paid by the buyer to the seller, this provision permits the seller to furnish an indemnity to the buyer for an amount not more than 25 per cent of the total consideration for a period not exceeding 18 months from the date of payment of the full consideration. Thus, any provision in an agreement involving a non-resident with respect to earn-outs, deposits and escrows must comply with the criteria set out by the RBI, as stated above. If a provision of an agreement dealing with earn-outs, deposits and escrows does not fulfil the aforesaid criteria, parties will need to obtain an RBI approval. However, it is not common for the RBI to grant such an approval. The RBI restricts banks from financing acquisitions of shares in listed Indian companies, as the exposure of Indian banks to capital markets is subject to prescribed ceilings (with the exception of acquisitions of shares of existing companies providing infrastructure facilities). Banks are generally prohibited from financing contributions of promoters towards the equity capital of a company. Separately, Indian banks are permitted to provide financing for acquisitions of equity in Indian joint ventures or Indian wholly-owned subsidiaries abroad and step-down subsidiaries, which are wholly-owned by overseas subsidiaries of Indian corporates. Non-banking financial companies may provide financing for acquisitions in India as they do not have such limits on capital market exposure. If required, financing for the acquisition of an Indian private company by a non-resident is structured offshore and then drawn down at the time of closing. Typically, in most private acquisitions, the buyer has to provide a sufficiency of funds, representation and warranty. Additionally, a financial-out is not acceptable by the seller in most transactions unless it has been commercially agreed between the parties, in advance, because of the size or nature of the transaction. Under the Companies Act, Indian public companies (whether listed on a stock exchange or otherwise) are not allowed to provide, directly or indirectly, any financial assistance, including by way of loan or guarantee, or the provision of security, for the purpose of or in connection with, a purchase or subscription for its own shares or shares in its holding company. The only exceptions to this rule are financing to employees for the purchase of or subscription for shares held for their benefit; and financing to enable employees to purchase or subscribe for fully paid-up shares in the company or the holding company where such shares are to be held by them by way of beneficial ownership. As stated in question 20, there are various limitations on financing structures in India, and the scope of acquisition financing is very limited in India. Additionally, financing conditions or outs are extremely rare in transactions in India. non-commencement of any new material litigation restricting the contemplated transaction. In addition, buyers typically seek to incorporate closing conditions based on issues highlighted during the due diligence conducted as part of the transaction in the agreements. Buyers may also seek to have other ancillary documents or filings in connection with the transaction (amendment of the company’s articles, resolutions to be passed by the company at closing, foreign exchange filings, etc) being in an agreed form as a closing condition. Closing conditions tend to be highly negotiated, and are often restricted to issues that are vital to the consummation of the transaction. representations and warranties: a seller is required to certify to the buyer that all the representations and warranties made under the agreement, as of the agreement execution date, are also true, complete and correct as of the closing date. Generally, the obligation to satisfy closing conditions is usually placed on the seller company. Except in certain situations where the buyer may be obligated to satisfy certain conditions, such as the CCI notifications discussed in questions 8 and 22, the seller company is required to make the requisite applications and intimations to all the regulatory authorities in order to obtain all the applicable approvals and consents for completion of the transaction. When the seller company has completed all the closing conditions stipulated in the agreement, the agreement ordinarily provides that the seller, within a mutually agreed time period, would be responsible for informing the buyer, in writing, certifying compliance with the closing conditions and furnishing adequate documentary proof in this regard. The strength of these obligations can vary from transaction to transaction. In certain cases, failure to satisfy any of the closing conditions can give the parties the right to walk away whereas certain conditions are less stringent in nature and may give a party the right to claim indemnity only in case of a loss caused due to non-fulfilment. Further, certain conditions are required to be fulfilled only on a ‘best efforts’ or ‘commercially reasonable’ basis. Yes, pre-closing covenants (or standstill provisions) do form part of agreements, especially those where there may be a potential change in the management and control upon consummation of the transaction. However, buyers proposing to purchase smaller stakes that may not lead to such change in management and control may also require certain pre-closing covenants to be imposed. keep the buyer informed of any change in circumstances or occurrence of any events that are likely to have a material adverse effect on the transaction. It should be noted that such pre-closing covenants should be evaluated in detail to determine whether such covenants will be in breach of the Competition Act. Breaches of covenants may entitle the aggrieved party to damages, specific performance or claim indemnity. Under Indian law, specific performance is not available to an aggrieved party if adequate damages have been paid, if undue hardship may be caused in the performance of the contract or if the aggrieved party has acted prejudicially. However, in certain cases, buyers may also insist on terminating the agreement and not proceed to closing on occurrence of breach of any pre-closing covenants. termination by the buyer in the case of a material adverse effect or if the buyer is unwilling to accept the updated disclosure schedule. Usually, agreements provide for termination of the transaction by the non-defaulting party in the case of a breach of any material representations, warranties, covenants or obligations under the agreement by the defaulting party. While the concept of break-up fees is gaining traction in private transactions in India, there is no legal framework regulating the same. The terms with regard to break-up fees ordinarily would include, inter alia, the quantum of break-up fees and guarantees to secure the break-up fees. Although, the parties are free to incorporate break-up fees as a deal-protection device, the same may be subject to various statutory restrictions. For instance, the payment of break-up fees by a resident party to a non-resident party will have to be in compliance with the extant foreign exchange regulations, and may also require approvals to be obtained from the RBI in this regard. However, the concept of reverse break-up fees is not yet a common feature in private transactions in India. As part of the transaction, the seller usually makes substantial representations and warranties and provides indemnities to the buyer. Representations, warranties and indemnities are extensively negotiated between parties to the transaction, and sometimes the buyer also seeks specific indemnities. The seller typically provides both fundamental (eg, those pertaining to the title of the shares in a share acquisition and ability of the parties to contract) and operational (eg, those pertaining to material agreements entered into by an entity and immovable property) representations and warranties. Operational representations and warranties are generally based on negotiations between the parties, qualified by knowledge, materiality thresholds and disclosure schedules, and are limited for a period of between one to three years (except tax, which is limited to the applicable statute of limitations). In transactions other than where a simultaneous signing and closing is contemplated, the seller also negotiates for, and the buyer generally permits (especially if there is a substantial gap between the signing and closing), the seller to update the disclosure schedules for events that may have occurred between the agreement execution date and the transaction closing date. In such scenarios, it is common for the buyer to retain its right to walk away from the transaction, without any liabilities, if it does not want to accept the updated disclosure schedules. On the other hand, fundamental representations and warranties are not qualified by any limitations or disclosures and generally survive indefinitely. The Contract Act defines misrepresentation to mean a positive assertion of a fact to be true when the information available does not warrant it to be true, even though it is believed to be true. Therefore, by inference, a representation is a factual assertion made by a party, based on available information, which forms the basis on which the parties enter into the agreement. Warranty is defined under the Sales of Goods Act, 1930 and means a stipulation that is ancillary to the main purpose of the agreement, and the breach of which gives rise to a claim for damages but does not constitute a repudiation of the agreement. Judicial pronouncements have laid down the difference between representations and warranties. In the case of a warranty, materiality or immateriality of the fact warranted has no significance in the adjudication of the liability of the defaulting party, that is, a warranty made in good faith or not material to the transaction, or both, would still render the defaulting party liable for breach thereof. However, in the case of a representation, the adjudication of the liability of the defaulting party would be predicated on proving that such representation is false or fraudulent, or both, and that the same is material to the transaction. In other words, it is only a material misrepresentation that would expose a defaulting party to a claim for breach in this regard. On the other hand, an indemnity is a promise of a party to save the other party from loss suffered as a result of the acts or omissions, or both, of the party him or herself or a third party, as stipulated in the agreement. While representations and warranties form the basis on which the transaction is entered into, indemnity is a remedy for breach of such representations and warranties. In addition, the definition of loss is also very highly negotiated between the parties. The seller, generally, wants to restrict the definition to capture only direct and actual losses, and wants to omit consequential, incidental, special, loss-of-profits, non-pecuniary and punitive losses. The buyer, on the other hand, wants the seller to indemnify it and its affiliates for all such losses resulting from the seller’s breach of its obligations under the transaction documents. Warranty and indemnity insurance policies are not very common in Indian transactions, especially because only a few insurance providers provide such coverage in India and the premium on such coverage is substantially higher than it is in other western countries. However, because of the uncertainty around the duration of the litigation process in India, an increase in the number of cross-border transactions by virtue of foreign investment norms being further liberalised for most sectors in India, and buyers wanting to mitigate against a seller’s credit risk, the market for such insurance products is growing rapidly. Such policies are also gaining traction in competitive bid scenarios. Usually, it is the buyer who obtains the warranty and indemnity insurance coverage as security against its exposure arising out of a breach of representations, warranties and covenants made under an agreement; however, both seller-side and sell-buy flip products (ie, seller-initiated warranty and indemnity insurance for the benefit of the buyer) are also available. certain tax liabilities, such as transfer pricing-related liabilities. Yes, parties negotiate and incorporate post-closing covenants in an agreement. Typically, post-closing covenants would include non-compete, confidentiality, non-solicitation obligations. Sometimes, in private equity transactions, such post-closing covenants can pose restrictions on how the investments made are to be utilised. In certain scenarios, post-closing covenants pertaining to non-compete, non-solicit and confidentiality obligations survive even the termination of the agreement. Separately, parties often agree to incorporate post-closing covenants for the rectification of minor non-compliances by the company (which were identified during due diligence) in the agreement. While non-solicitation and confidentiality obligations under an agreement have not faced substantial enforceability hurdles, the enforceability of non-compete obligations post termination of the agreement is still a matter of debate in India. It is pertinent to note that the Contract Act does not permit contracts in restraint of trade, except where the transaction involves the sale of goodwill of the business. Accordingly, where a transaction involves the sale of goodwill of a business, non-compete obligations can be made enforceable subject to such obligations being fair and reasonable which is determined on a case-by-case basis. Yes, capital gains tax is payable on the transfer of shares in a company, a business or assets in India. A summary of the implications on the transfer of shares, assets and business from an income-tax perspective is highlighted below. The income derived by the seller on the transfer of shares of an Indian company is subject to capital gains tax, levied according to the period of holding of the shares and at the rates shown in the table below. In addition to the above tax rate, a surcharge of 7 or 12 per cent is applicable on the tax amount for domestic companies (2 or 5 per cent for foreign companies) whose total income exceeds 10 million rupees or 100 million rupees respectively. A cess of 4 per cent would be applicable on the aggregate amount of tax and surcharge in all cases. The long-term capital gains arising from the sale of listed shares or unlisted shares via an offer for sale to the public are exempt, provided that securities transaction tax is paid at the time of the sale of shares. Further, with respect to a sale of listed shares, the taxpayer should have also paid securities transaction tax at the time of the acquisition of the listed shares if the acquisition was made on or after 1 October 2004 subject to certain exceptions: for instance, acquisitions by non-residents under the FDI guidelines. If the consideration received by the seller on the transfer of unlisted shares is less than the fair market value of the shares (determined based on the prescribed method under the Income Tax Rules), the fair market value would be deemed to be the full value of consideration and capital gains tax would be computed accordingly. From a buyer’s perspective, if the buyer receives or acquires shares for a consideration that is less than the fair market value (determined based on the prescribed method under the Income Tax Rules), then the differential amount would be considered as income from other sources, and the buyer would be required to pay tax accordingly. issue a withholding tax certificate. If the non-resident seller is from a country with which India has entered into a double taxation avoidance agreement (DTAA), then the provisions of the ITA would be applicable only to the extent that they are more beneficial. To claim the benefits of a DTAA, the non-resident seller is required to furnish a tax residency certificate obtained from its local revenue authorities, and to furnish forms and documents as prescribed under the Income Tax Rules. it is carried out in a manner that is normally not employed for bona fide purposes. Any kind of structuring resulting in a tax benefit may be questioned under the GAAR. Once the GAAR are invoked by the tax authorities, the benefits under a DTAA may also be denied to a taxpayer. GAAR provisions are not applicable to gains arising to an investor from a transfer of investment, made prior to 1 April 2017. A transfer of business or undertaking for a lump sum consideration would be considered a ‘slump sale,’ and any gains arising from a transfer by way of a slump sale is taxed as capital gains. The gains arising from the transfer of an undertaking that has been owned and held by a resident transferor for a period of more than 36 months would be subject to long-term capital gains tax at a rate of 20 per cent (plus surcharge of 7 or 12 per cent and a cess of 4 per cent). The gains arising from the transfer of an undertaking that has been owned and held for a period of 36 months or less by a resident transferor would be subject to short-term capital gains tax at a rate of 30 per cent (plus applicable surcharge of 7 or 12 per cent and a cess of 4 per cent). In the case of non-resident transferors, the long-term capital gains would be taxed at a rate of 20 per cent (plus applicable surcharge of 2 or 5 per cent and a cess of 4 per cent), and short-term capital gains at a rate of 40 per cent (plus applicable surcharge of 2 or 5 per cent and a cess of 4 per cent). Capital gains are computed as excess of sale consideration over the net worth of the undertaking (ie, cost of acquisition) that has been transferred. The net worth shall be the aggregate value of the total assets of the undertaking as reduced by the value of liabilities of such undertaking. The gains arising from any transfer of assets or an itemised sale are subject to capital gains tax in the hands of the seller. The capital gains would need to be ascertained with respect to each individual capital asset. The tax implications on the transfer of assets would depend on the nature of the capital assets and whether the capital assets are eligible for depreciation under the Income Tax Act, 1961. Gains arising from transfer of capital assets (other than shares) or intangible assets, not being depreciable assets, would be subject to capital gains tax. In the case of a resident, if the capital assets are held for more than 36 months (24 months in the case of immovable property), then the gains would be considered to be long-term capital gains and taxed at a rate of 20 per cent (plus applicable surcharge and cess). If the capital assets are held for 36 months or less (24 months in the case of immovable property), then the gains would be considered to be short-term capital gains and taxed at a rate of 30 per cent (plus applicable surcharge and cess). In the case of a non-resident seller, the long-term capital gains would be taxed at a rate of 20 per cent (plus applicable surcharge of 2 or 5 per cent and a cess of 4 per cent), and short-term capital gains at a rate of 40 per cent (plus applicable surcharge of 2 or 5 per cent and a cess of 4 per cent). In the case of a transfer of depreciable assets, if the consideration received exceeds the written-down value of such depreciable assets, then such excess would be deemed to be short-term capital gains, and will be taxed at a rate of 30 per cent (plus applicable surcharge and cess). In the case of a non-resident seller, the tax rate would be 40 per cent (plus applicable surcharge of 2 or 5 per cent and a cess of 4 per cent). In addition to the above, transaction documents are also subject to payment of stamp duty (see above). Transfers of shares do not attract any goods and services tax (GST) in India. Further, a transfer of a business as a going concern is also outside the purview of any GST levy. However, itemised sales of assets in India are exposed to GST levy in India. The rate of tax is dependent on the nature of the goods, and may range between 5 and 43 per cent (inclusive of cess). See question 31 regarding capital gains tax implications on a sale of shares in a company, a business and assets. In a share acquisition, the employer entity does not change and there is no transfer of employment. As regards to a business transfer or an asset sale, labour laws in India do not recognise the automatic transfer of employees to a third party unless the contract of employment contains an express stipulation pertaining to such transfer. Therefore, in a business transfer, the consent of the employees is required for a transfer of employment to the buyer. Such consent may be express or implied. In some cases, specific consent is not required where the terms of employment with the seller already contemplate such a transfer of employment to a third party. In the case of an asset sale, where certain identified assets are purchased by the buyer, the transfer of employment is on a quit and re-join basis. The buyer is required to provide offer letters for employing the employees of the seller. The offer letters are then followed by contracts of employment executed with those employees who have accepted the offer with the buyer. The employment of the employees with the seller is terminated, and they enter into fresh employment with the buyer. There is no requirement to notify or consult employees in connection with a share acquisition, business transfer or asset sale unless the employment of the employees is impacted. However, where there are recognised trade unions involved, there is a memorandum of settlement signed between the employer and trade unions in which case, such unions should typically be consulted in relation to the impact of a transaction on the employees. Employee benefits such as provident fund contributions, gratuities and privilege leave balances are not automatically transferred, and are rather transferred to the buyer in accordance with the terms of grant of such benefits and applicable law. As opposed to a share acquisition, in a business transfer or asset sale given that the employer entity changes, the employee benefits such as provident fund, gratuity and privilege leave balances are transferred and the terms of such transfer are contractually agreed. Further, there are post-filing requirements under certain Indian employment laws such as the state-specific Shops and Establishments legislations, Employees Provident Fund and Miscellaneous Provisions Act, 1952, Employees’ State Insurance Act, 1948. India’s pro-investment regime and strong macroeconomic factors continue to make India an attractive destination for foreign investors (as compared to its emerging market peers). As predicted in the earlier version, 2017 turned out to be a great year for M&A in India - with the highest number of M&A deals in the current decade. It also turned out to be the best year for financial investors in India. And this trend, in our view, will continue in 2018. Additionally, the mega deals (ie, more than US$1 billion) are back (for example, the authors of this section advised L&T in its divestiture of its electrical and automation business to Schneider for approximately US$2.1 billion, and Shardul Amarchand Mangaldas advised Walmart in its acquisition of Flipkart for US$16 billion), and there are many other such mega deals currently in play. Active public markets and a limited number of quality assets have resulted in stiff competition and high valuations, and this trend will only continue over the next 12 months. As a result, sellers continue to prefer the auction route over bilateral negotiations. Along the same lines, dual-track auction processes, ie, initial public offerings track coupled with a competitive auction sale process, should also gain more traction (for example, the authors of this section assisted a large global financial investor in conducting India’s first successful dual-track auction process for the sale of its portfolio company), as it helps, among other things, sellers to unlock maximum returns while undertaking calibrated post-closing liabilities. Additionally, we have seen that investors, particularly financial investors, prefer control deals and minority investments with an option for control. Furthermore, we have seen a substantial rise in the use of representation and warranty insurance and tax insurance policies - both by investors and by sellers - especially if a seller is a private equity fund looking for a nil or minimal recourse exit. India is again looking at outbound acquisitions, but inbound acquisitions continue to be the bigger chunk. From a sectoral perspective, the banking and financial services, manufacturing, technology, consumer and healthcare sectors continue to be highly active. In terms of the due diligence process itself, we have seen longer due diligence processes on average, and a substantial increase in anti- bribery, corruption and anti-money laundering due diligence. Finally, investors have finally seen a steady stream of profitable exits, both through public markets and private transactions. In our opinion, this trend will continue for the near future. India’s pro-investment regime has instituted many significant legal and regulatory changes over the past 12 months, and we expect this trend to continue. In addition to those discussed above, below are a few such key changes. With the introduction of provisions of mergers of Indian companies with foreign companies, the Companies Act now allows for both out-bound and in-bound mergers. Under the newly introduced provisions, Indian companies can now merge with foreign companies in specified jurisdictions. In a welcome move for ease of doing business in India, the government of India has removed the requirement on parties to notify transactions to the CCI within 30 calendar days of the relevant trigger event, for a period of five years (ending 29 June 2022). While notifiable transactions will still require approval from the CCI prior to closing and remain subject to penalties for gun-jumping, the elimination of the filing deadline will remove artificial timing pressures on filing parties and facilitate the coordination of multi-jurisdictional merger reviews. On 4 March 2016, the Ministry of Corporate Affairs, government of India, reintroduced a de minimis target based exemption, pursuant to which acquisitions where the target enterprise has either assets in India less than 3.5 billion rupees (approximately US$52 million), or turnover in India less than 10 billion crores of rupees (approximately US$149 million), are not required to be pre-notified to the CCI (2016 Target Exemption). On 29 March 2017, the government of India released the ‘Revised Target Exemption’ expanding the scope of the 2016 Target Exemption. The Revised Target Exemption provides: the exemption will be applicable to parties to all forms of transactions, that is, acquisitions, mergers, and amalgamations, where the assets being acquired, taken control of, merged or amalgamated are not more than 3.5 billion rupees (approximately US$52 million) in India or where the turnover is not more than 10 billion rupees (approximately US$149 million) in India; and for the purposes of assessing whether Revised Target Exemption applies, as well as the jurisdictional thresholds specified in section 5 of the Competition Act, only the value of assets of, and turnover attributable to, the portion, division or business being transferred will be counted as regards the target, and not the entire assets or turnover of the selling entity. The trigger exemption is a recommended practice by the International Competition Network and brings India into line with global standards. This move should also be welcomed by the CCI, enabling it to coordinate its review timelines with other competition authorities. Nevertheless, we anticipate that the CCI will now be more vigilant in pursuing defaulters. The CCI has increasingly been initiating investigations of its own motion into transactions that were not notified to it, based on media and press articles, including transactions involving foreign purchasers and sellers. It recently imposed a nominal penalty on telecommunications companies for their failure to notify the acquisition of spectrum, to the CCI. Several such investigations are pending before the CCI. Therefore, parties should be cautious while assessing the requirement for notification in India to the CCI. In order to assist the parties, the CCI has initiated a ‘Do it yourself’ notifiability check. Further, the CCI has found that: payment of advance considerations and seller’s agreement with the buyer of certain arrangements (such as handing over inventories to the acquirer, introduction to the seller’s suppliers) prior to the CCI approval is viewed as pre-approval coordination between the parties, which is prohibited under the Competition Act. In 2016, India enacted the Insolvency and Bankruptcy Code, 2016 (Insolvency Code), which was the first comprehensive legislation for reorganisation and insolvency resolution of companies, partnership firms and individuals. Under the Insolvency Code, a creditor can initiate insolvency proceedings against a company for a default of as low as 100,000 rupees, by filing an application before the NCLT. Once the NCLT admits an application and insolvency proceedings are initiated, the board of directors of the company is suspended, and an insolvency professional (nominated by the creditors and appointed by the NCLT) manage the company under the supervision of the committee of creditors. Insolvency proceedings must be completed within 180 days of admission (extendable once by up to 90 days). There are three possible outcomes to an insolvency proceeding: withdrawal - with the consent of 90 per cent of creditors (by value); insolvency resolution - where an acquirer acquires the company in insolvency through a resolution plan; or liquidation. The Insolvency Code contains stringent disqualifications that prohibit certain persons from acquiring a company in insolvency. The disqualifications extend to persons who were in management or control of an insolvency company, and their connected persons. The Insolvency Code has disrupted the financial sector in India, particularly with respect to debt restructuring, and has witnessed billions of dollars being offered for acquiring companies through the insolvency process. With banks focusing on debt management and reduction of non-performing assets, insolvency is expected to emerge as an enormous opportunity in India. In place of the state-specific tax on goods and services, a centralised taxation regime has been introduced for all indirect taxes levied on the supply of goods and services in India. The Payment of Gratuity (Amendment) Act, 2018, which provides for an increase in the maximum threshold of gratuity amount payable to an employee to 20 lakh of rupees (US$29,088) from the erstwhile 10 lakh (US$14,544), has been notified. The Ministry of Labour and Employment has widened the applicability of the Payment of Wages Act, 1936 to cover employees receiving wages up to 24,000 rupees (US$349) per month from the existing wage amount of 18,000 rupees (US$262) per month with effect from 28 August 2017. The Contract Labour (Regulation and Abolition (CLRA) Act is a central government statute that regulates the engagement of contract labour and workers in India. Even though the CLRA Act is a central statute, state governments have the ability to amend certain of its provisions. On this basis, the state governments of Maharashtra, Rajasthan, Haryana and Andhra Pradesh have recently increased the threshold for the applicability of the CLRA Act from 20 to 50 workers. The central government has introduced an online platform known as SHe-Box (Sexual Harassment Electronic Box) to help women employees lodge complaints of workplace sexual harassment. Through this platform, women employees (including women employees in private establishments that have an internal committee under the Sexual Harassment (Prevention, Prohibition and Redressal) Act, 2013) will have a common platform to raise complaints of workplace sexual harassment. The Disabilities Act came into effect on 28 December 2017. It stipulates provisions in relation to persons with disability and provides for equality in treatment and opportunities, accessibility to general services, non-discriminating behaviour and respect for inherent dignity, individual autonomy including the freedom to make one’s own choices, and independence of persons. The Disabilities Act recognises 21 conditions as disabilities and mandates every employer to, among other things, frame and publish an equal opportunity policy, stipulating details of the facilities and amenities that the employer will be providing to the disabled employees; appoint a liaison officer (if the employer engages more than 20 employees) to oversee the recruitment of disabled persons; identify posts or vacancies in the establishment that would be suitable for disabled persons; ensure that no disabled person is discriminated because of his or her disability, etc. Chapters V-A and V-B of the ID Act deal with conditions for the retrenchment of workers and the closure of establishments. Establishments that are covered under Chapter V-B are required to seek permission from the government before giving effect to any retrenchment or closure. However, Chapter V-B applies only to factories, mines and plantations (covered establishments) that employ more than the prescribed threshold number of workers. While the state governments of Haryana, Andhra Pradesh and Rajasthan had already increased the threshold for the applicability of Chapter V-B of the ID Act from 100 to 300 workers, the State Government of Jharkhand has also recently increased the threshold to 300 (as of 14 November 2017). Registers required to be maintained under various labour laws have been combined to simplify compliance and inspection under such laws.